Wow, how did we miss this one first time round? Apparently the Royal Shakespeare Company had this version of the London Underground map made up many years ago, showing one type of Shakespeare characters on each tube line. Take your pick from “warriors”, “strong & difficult women”, “fools” and more. The RSC point out that “interesting intersections include Henry V who meets on the warrior and hero line, and Lady Macbeth on the strong and difficult women and warrior line”. 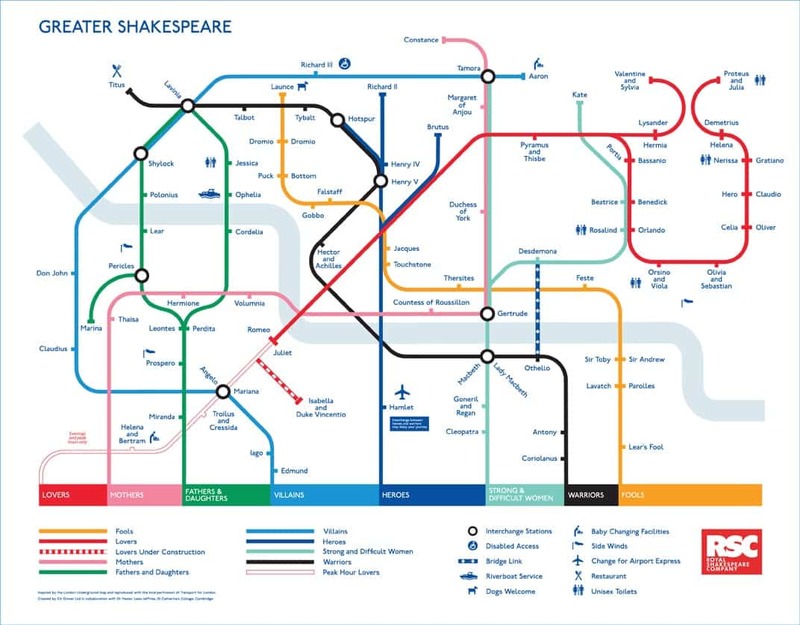 What a great way of mapping Shakespeare on to the popular consciousness!